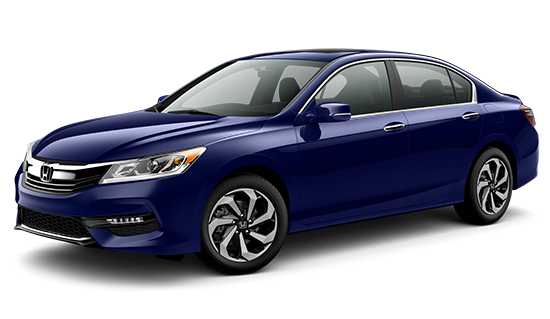 The 2016 Honda Accord EX is an ideal trim level for Goshen and Monroe drivers who want extra features without having to upgrade to the Accord’s available V6 engine. That means enjoying a completely enhanced driving experience, plus the ability to achieve impressive efficiency ratings, so it should come as no surprise to learn that the EX is a strong favorite among families throughout New York. 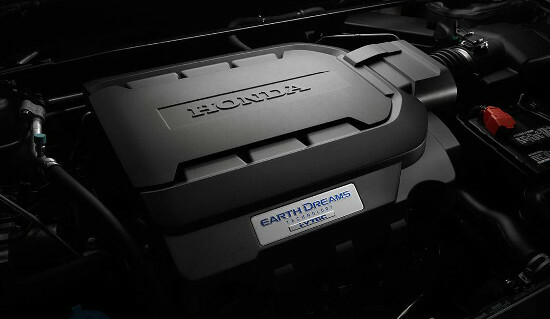 Power: A 2.4L four-cylinder engine uses direct-injection technology to provide an impressive output of up to 185 hp and 181 lb-ft of torque. Efficiency: With the Accord EX, you’ll be able to choose between either six-speed manual transmission for up to 23 mpg in the city and 34 mpg on the highway* or continuously variable transmission (CVT) for up to 27 mpg city and 37 mpg highway. One-Touch Power Moonroof with Tilt Feature: Open up your ride to the great outdoors by letting the sun’s rays and the star’s light come in through a stunning one-touch moonroof. LED Daytime Running Lights: Set your vehicle’s styling apart from the average, all while decreasing the risk of an accident occurring by enhancing your visibility to other drivers. You’ll also enjoy the use of LED fog lights. Honda LaneWatch: A small camera plays from just under the passenger-side mirror, providing almost four times the view you’d receive from the mirror alone right on your Display Audio touchscreen. Smart Entry with Push Button Start: With the Smart Key, you’ll be able to unlock the doors simply by pulling up the handle, then start the engine with just the press of a button. SiriusXM Radio: The EX comes as standard with a complimentary subscription to SiriusXM, so you’ll be able to enjoy commercial-free music during every journey. 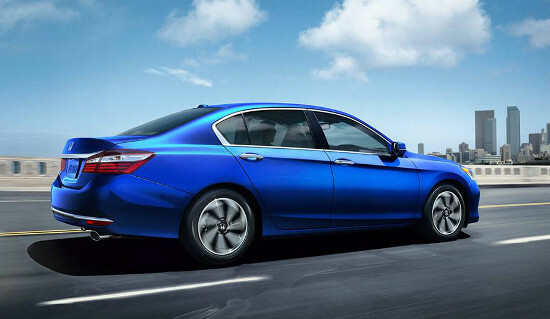 Now that you’ve read about the 2016 Honda Accord EX, we’re sure that you’d like to experience it for yourself. To do just that near Goshen and Monroe, or to find out anything else about the new Accord, just contact Middletown Honda to arrange a test-drive.